Feral today announced a December 18 release date for the iPad version of Tropico, the popular strategic island city builder and humorous dictator sim, and also confirmed that an iPhone version is forthcoming sometime in 2019. 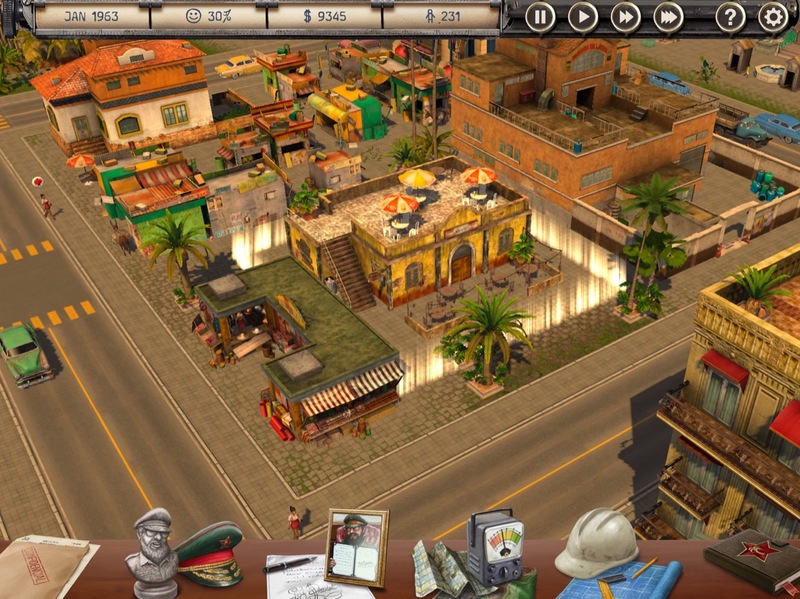 Based on the acclaimed series originally published by Kalypso Media, Tropico for iPad has been redesigned and developed for mobile by Feral, and will be a premium game with no in-app purchases. Fully tailored to and optimized for tablet, Tropico features intuitive touch controls and an easy-to-navigate user interface that make it smooth and simple for players to lead this small but proud island nation into a glorious future, one tap at a time. Tropico will support fifth generation and sixth generation iPads, and all generations of Apple's iPad Pro models. The game requires iOS 12 and just under 3GB to install. Tropico costs $11.99 and is available to pre-order now from the App Store [Direct Link]. Actually that’s cheap - look how much people spend on IAP since most so called free games are unplayable without paying real Money for virtual goods - and you have keep buying stuff to keep play. I am no longer downloading those since those are overpriced. 12$ is over-priced? That seems like a low price. At $11.99, not too bad. I'm glad it's not one of those "Freemium" games where you have to pay a boatload to get the good stuff or speed things up. A very decent price for a full game, or maybe you like the free "pay to win" games? I would get it, but I don't have a device that will run it. I’ll probably pick this up. I like city building games and I’d rather support a company that releases a full game for a set price instead of going the route of pay to win/in-app purchases.